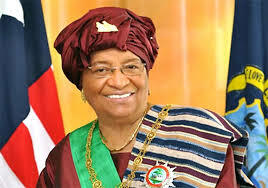 President Ellen Johnson Sirleaf has declared Wednesday, March 8, as National Holiday to mark ‘Decoration Day’. According to a Foreign Ministry statement, it is befitting that a day be set aside to celebrate the memory of those blessed dead, who have lived and died in the interest of the country, thereby keeping ever alive their deeds and invaluable contributions made to society and the State for onward march to progress. It added that the National Legislature, realizing that important events in the history of our nation should be constantly kept in the minds of citizens and youths to inspire them to larger measures of service and patriotism, did, by an Act approved on October 24, 1916, declare the Second Wednesday of March in each year as “Decoration Day” to be observed as a National Holiday. The Liberian leader called on citizens and foreign residents to remember and cherish the love and affection, the joy and constant caring which existed between family members and friends, who once lived so dearly with them before their death.